Thousands of local green thumbs headed down to McCallum Park in Victoria Park for four fun filled days of garden, outdoor living and household inspiration at the 2018 Perth Garden Festival. Kleenheat was excited to be back on board this year with an exclusive 50% off tickets for our customers. While it was a wet start to the festival, the autumn sun came out just in time for festival goers to enjoy a great day out exploring the show gardens, plants, gardening equipment and so much more on display! 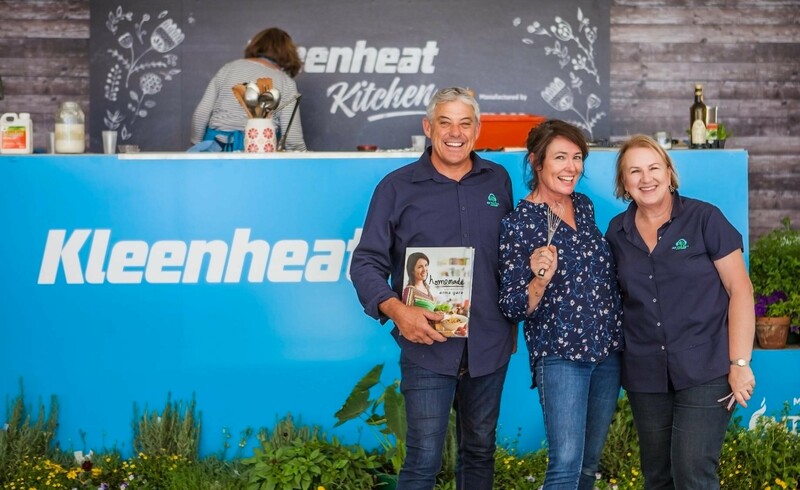 The Kleenheat Kitchen returned to sizzle this year with local WA chefs Vince Garreffa, Guy Jeffreys and Anna Gare. Each chef brought their own flare and flavour to the kitchen, dishing out cooking tips in spades while preparing delicious samples for the audiences to enjoy. By their side were gardening experts Deryn Thorpe and Steve Wood from the All The Dirt podcast who were on hand with advice for growing fresh produce in your own backyard. To help budding gardeners along, audiences also walked away with a handy autumn planting guide put together in collaboration with All The Dirt. Our dedicated Perth Garden Festival site offers you gardening advice and recipes that you can recreate at home. Learn some of the secrets behind organic dishes full of flavour, along with ways to keep your garden in tip-top shape for growing delicious produce at home. We were delighted to once again present the Perth Garden Festival and be the energy behind WA’s premier garden and outdoor living event. 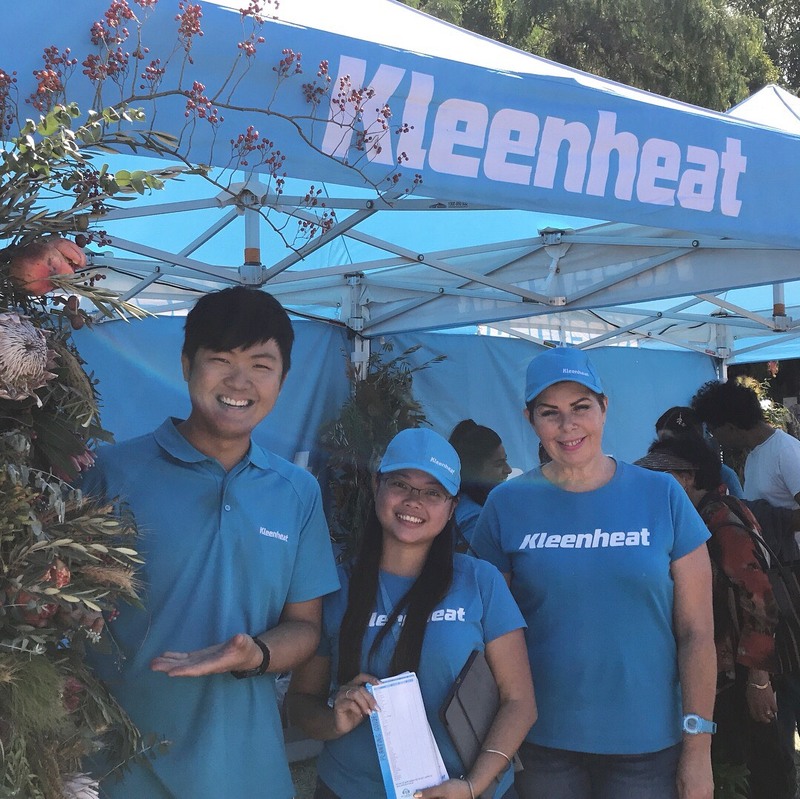 While visitors browsed stalls and picked up gardening goodies, our Kleenheat team was also on hand for a friendly chat about how they too could enjoy better value energy with WA’s local provider. We’ve already helped more than 190,000 WA households switch to Kleenheat for up to 35% off their natural gas usage charges for 12 months*, while thousands of customers outside WA’s natural gas network enjoy top-notch reliability and service with Kleenheat LPG. The best experience so far. Only downfall was the stall where we bought fish and chips – atrocious! The talks were fascinating, esp bush tucker and we had wonderful weather. Glad to hear you enjoyed the festival and the talk Mags! The weather was indeed lovely. Thoroughly enjoyed the sessions, hoping to go again next year. We’re hoping to see you there next year! Thank you for letting us know about the garden show and offering us discount on our tickets. A fabulous day out we really enjoyed our outing. Great displays and good bargains with a lot of friendly people to give advice. It was our pleasure Margaret. Happy to hear you enjoyed the festival! Very good garden show. More plant company”s than last year. Very good to get discount tickets. Parcel pick up very well organised. Thanks for the great feedback Marian! Hope you’re enjoying your new gardening goodies. A outstanding day. Its been a large number of years that I have been to the festival and I wont miss another again. The best part was that I was able to go with my 2 standard Poodle”s also with friends along with there Poodles. Well done Kleenheat and well done to all the other business owners. Glad to hear you had a great time at the festival Mary. I’m sure the poodles enjoyed being outdoors as well! Best show so far….loved the floating tree! We reckon it was the best one too Lars! Already looking forward to the next Garden Festival. It was a great day out full of interesting stands….I came home with many wonderful plants. It was so good to see many more plant stands….and they were all busy. Sick of buying the same old plants from a single source so well done. Please could someone sell unusual or ornamental garden solar lights next year please. Hope you’re enjoying all the new plants Nicky! Thank you for the great feedback, we’ll be sure to ask for some interesting solar lights next year. The second worst garden show I have been to. Went to see and look for plants but a very small poor range. Sorry to hear about your experience Craig, hope you were able to enjoy a day out regardless. The downturn was picking your way through the dog faeces on Sunday to buy our lunches and then later at a garden entrance. If the dogs are allowed have doggie bags on show at regular intervals. Or it”s a garden show why allow dogs entry! We found the fish and chips very good value and enjoyed them. We’ll be sure to pass on the feedback about doggie bags to the organisers Christine, glad to hear you enjoyed your fish and chips though!